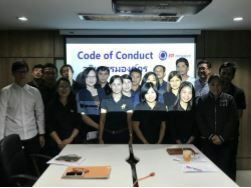 Each topic of code of conduct training was focused on ethics which every position required. 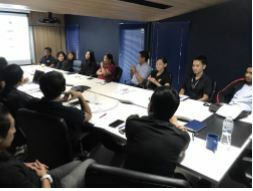 EA Mechanic employees would be able to understand both company policies and civil law, as well as knowing how to resolve and make the right decision when facing ethical dilemmas. 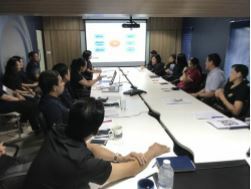 Additionally, employees would be able to realize how to get in contact with external parties including customers, business partners, shareholders, competitors, external communities and colleagues. Started off with instilling work ethics in EA Mechanics employees individually so that everyone could act as a team leader. 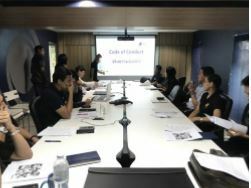 Ultimately the company will achieve the business goals sustainably and can be recognized as one of the ethical organizations in the near future.